Referred to as "Black Pearls" or Tahitian pearls, must be natural in color, cultivated in the French Polynesian and draw their color from the mollusk shell "Pinctada margaritifera," more commonly known as black-lipped oyster, where they grow. 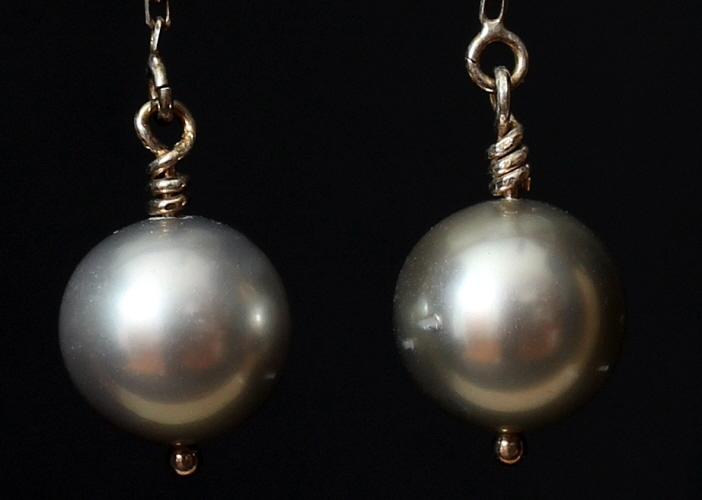 The softness of pearls and their low resistance to heat and chemicals means that special precautions must be taken when cleaning and handling these jewelry items. Detailed instructions can be found on the "Wire" page of this website. 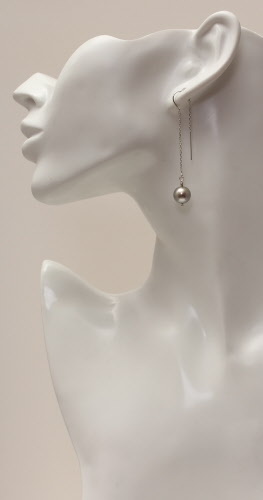 The Tahitian pearls used here are 9 - 10 mm in size and silver-grey in color, and dangle by a sterling silver ear thread. U-bar in ear thread enhances comfort and helps to maintain correct position of earring when worn. 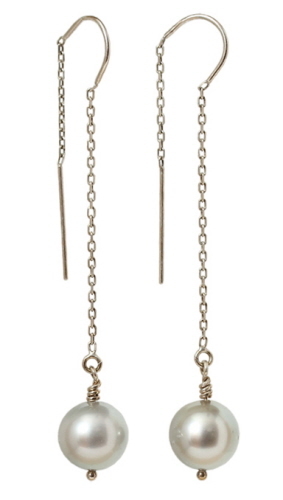 Earrings measure 2½ inches from top of ear thread to bottom of dangle. Weighing less than 0.05 oz each.